HAVE YOU EXPERIENCED A SETBACK? It could be a financial blow, a divorce, a lost job or a health diagnosis. God is in the business of fresh starts, new beginnings and resurrected dreams. No matter what the setback – you can have a comeback. "God is in the business of fresh starts, new beginnings and resurrected dreams. He has a comeback prepared for you. You can experience a powerful turnaround in your life. Your present situation is not the final word on your life." 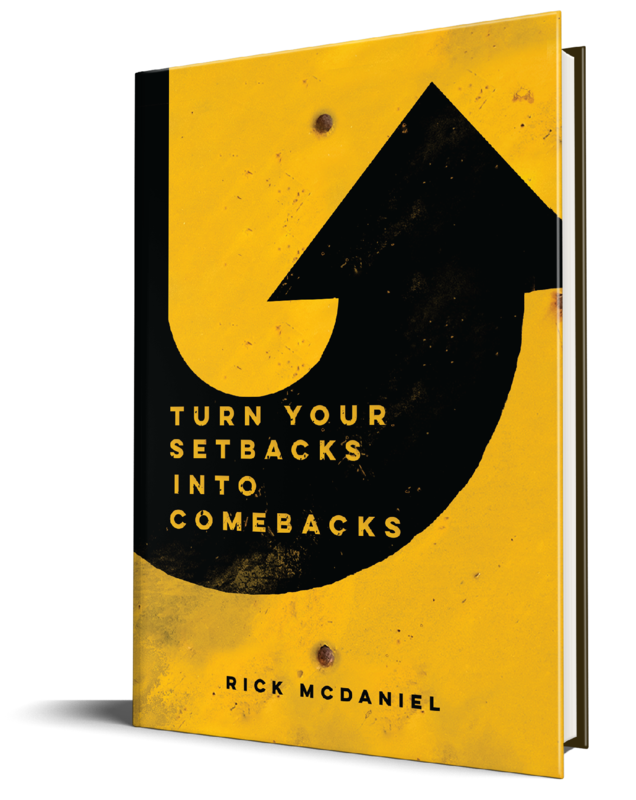 In his new book Rick McDaniel will show you strategies, inspire you with stories and guide you step by step into your comeback. You will be motivated like never before to move forward in your life. If you are ready for a new story, fresh hope and renewed passion for life then welcome to your comeback! "5 Habits of Happy People"